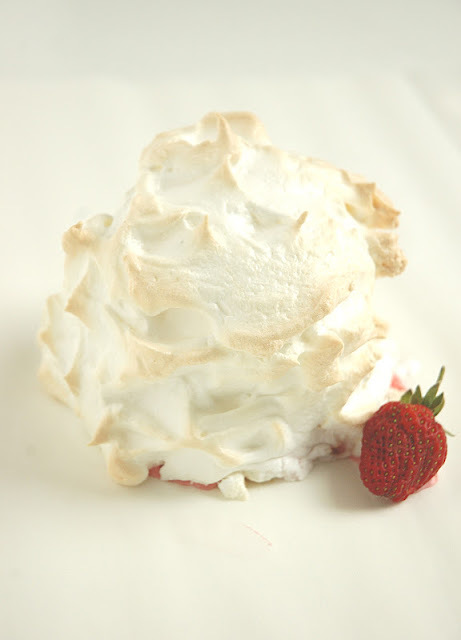 Who of you have had the classic dessert, Baked Alaska before? A thick layer of cake, layers of vanilla of Neapolitan ice-cream and in my mom’s case, canned peaches. All this beautifully adorned in a thick layer of snow-white meringue, baked in the oven for just a bit and served immediately to a table full of wide-eyed kids. I have such fond memories of this. My mom did not make Baked Alaska often, but when she did, if was for us such sheer indulgence. I thought of this dessert today whilst my mind was going down memory lane, thinking who really inspired me to cook. I am often asked this question and I always say my mom and my gran, but why do I say this… My mom worked all her life and our nanny cooked every day. I don’t have memories of my mom waiting for us after school with hot buttered toast and sweet, milky tea. What I do remember is that my mom always provided, she always had a plan, there was always food, sometimes even dessert and over weekends, she would bake a cake, always! My mom’s forward planning always had us in mind! How precious is that? My gran on the other hand, was the dress maker in Ceres where I grew up,so all through the day, ladies would come in for fittings and my gran would always invite them for either tea or around mid day, lunch. She never planned to invite them, she just did and if she saw somewhere in the middle of the morning that her pot looks a bit empty, she would just add potato or two, nothing fancy, just food from her heart… So I guess, my inspiration comes from these amazing ladies…. Everyday when I cook for my family or to post here, I invite you in to come and dine with me…take a seat, take the load off and nestle here at my table where you will get food for your body and your soul….from my heart to yours! Slice the Madeira loaf in 8 thick slices. Use a stacking ring or cookie cutter and cut 8 rounds from the slices of cake. Place a cake disc back into the stacking ring and fill up the stacking ring with ice-cream. Shake out the cake with ice-cream( it actually slides off quite easily) and repeat with the other 7 cake discs. Place the cake stacks back in the freezer, or leave overnight to get really hard. 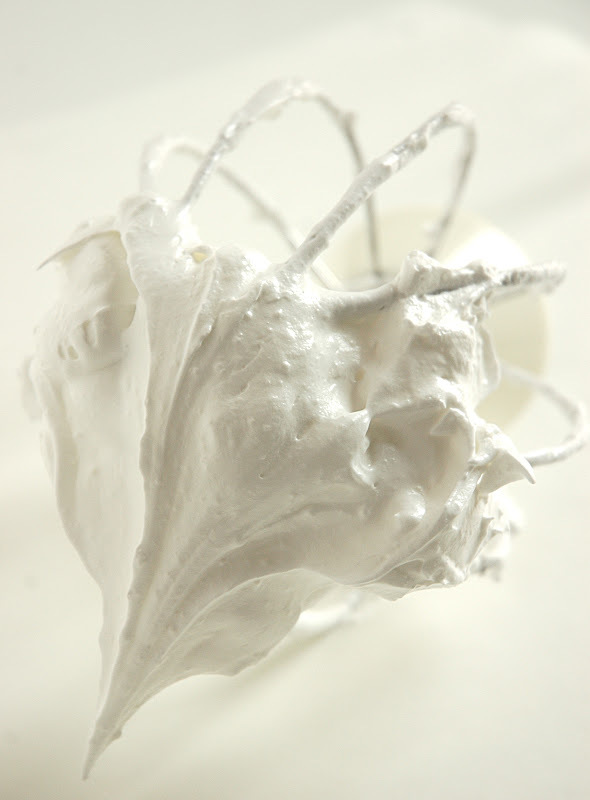 To make your meringue, place the egg whites in your mixer and whisk until the egg whites form stiff peaks. Add the caster sugar 1 tablespoon at a time and whisk in between. Lastly fold in the corn starch. 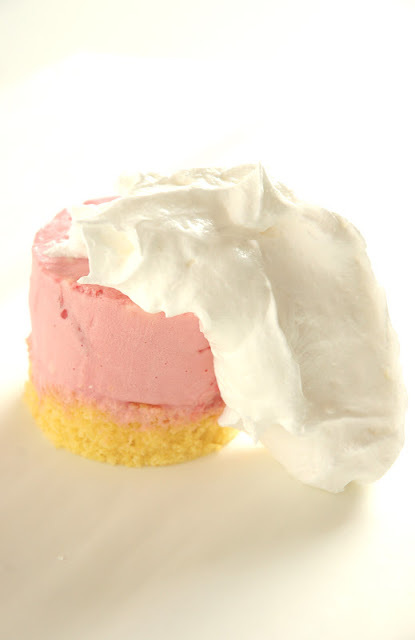 With a knife, cover each of the frozen cake stacks with meringue, making sure there are no holes where the ice-cream can leak out. Place on a baking sheet and bake for 5-8 minutes or until meringue has a beautiful caramel color. Serve immediately. You can literally use any flavor ice-cream, you can add fresh or canned fruit, even nuts to your ice-cream.In stead of baking the meringue, you can use a blow torch to get the desired caramel, charred effect. You can also drizzle with a tipple of your choice and set it alight to wow your guests even further. I suggest you try this once before you make it a party trick!.